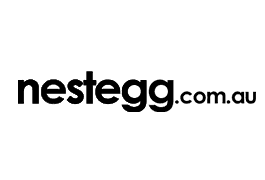 Nest Egg discusses what a stock screener is and how it help investors build their portfolios. A stock screener is a tool that investors can use to automate the process of selecting shares based on user-specific criteria, making the process simpler and less emotional. Many investors use stock screeners like a sieve to sift through thousands of companies in the share market to identify individual shares that may be added to their portfolio. Here’s a quick guide on stock screeners to better understand its efficiency as an investing tool. There are several free and paid stock screeners available online that can suit an investor’s needs. An example of a free screener is the Google Finance Stock Screener, which features four default metrics that may be customised further according to the investor’s requirements. These online tools have access to each company’s financial statements and could return eligible companies faster than if the screening process is done manually. If an investor looks for eligible companies themselves, it may take them at least a full day studying financial reports and historical prices before they trim down their list. However, they may use a stock screener to reduce the process to a few minutes by selecting metrics. For instance, investors wishing to invest only in small-cap energy companies in emerging markets— whose share price falls between 50 cents and $5—can indicate so in the stock screener. An additional criterion could be included, such as if the price of shares did not fall greater than nine per cent for longer than a week they would be included in the results. Based on the selection, the tool then let the tool compares companies and sifts out those that don’t meet the selected criteria. Sifted results are based on facts and numbers that the companies reported in a given financial year. A stock screener has a database of listed companies and their reported financial data. When investors choose their specified criteria, the tool’s screening engine identifies all the variables and selects matching companies. A quantitative and comparative analysis of companies that fall within certain financial metrics is easier since businesses use similar metrics when generating their financial reports. Using the example in the previous section, the selection process would begin with finding companies in emerging markets, followed by removing all companies that do not belong to the energy sector. Once a short-list is generated, the screener would look at each company’s market capitalisation to identify only small-caps. It would then look at the current and historical share prices of each remaining company to determine its performance. Any company whose share price fell by 10 per cent for eight consecutive days would be eliminated from the list. This leaves investors with only the companies that match their criteria. Seasoned investors agree that stock screeners are helpful, especially for beginners, since these tools could narrow down their choice of businesses to invest in. However, relying solely on stock screeners may also harm portfolios because most financial statements used by screeners have been ‘standardised’ by third party sources to make comparison easier for the screening engine. As such, specific variables that an investor may want to consider may not be available or even included as a valid consideration before screening. For instance, the full financial statement may distinguish between income from short and long-term investments a company made in the past year; however, stock screeners may simply consider both as investment income for the previous financial year. This means investors may miss the fact that the amount of income that is misrepresented in the result could drastically decrease in the current financial year— leading them to invest in a company that does not truly meet their criteria. Despite this, using a stock screener is still favourable if the investor backs up its results with due diligence. This information has been sourced from Investopedia and Nest Egg.